I have a case of paraben paranoia. My mom and I just spent this past weekend in Lake Tahoe up in the invigorating and very dry Sierra Mountain air. Our skin was hungry for moisture and we were both slathering lotion on our faces and bodies. I noticed my Mom was using Sisley's Sisleya Global Anti-Age Day and Night cream. Because I'm now obsessed with checking ingredient labels I decided to investigate the truth behind Sisley's formulation. To my shock and dismay my Mom's tiny bottle of high-end anti-aging face cream contains not one but five different parabens. Parabens like to sneak up on you in products where you least expect them. 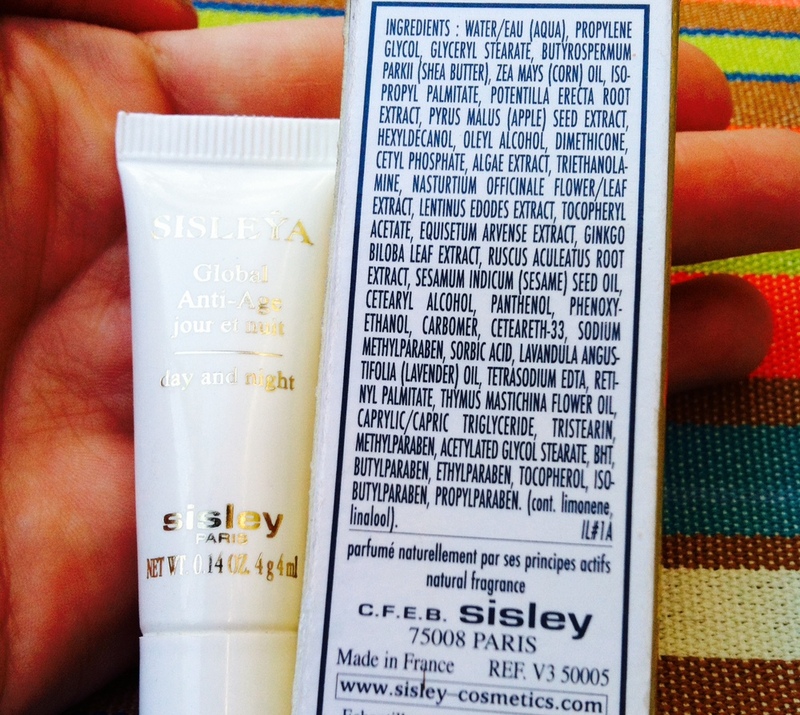 Sisley is an extremely reputable French skin care company, yet their creams are chock-full of these pesky preservatives. I'll never forget when I realized that my favorite face wash by Bliss was also littered with parabens. Parabens are not just found in less expensive drug store products. Unfortunately, they are a staple of the chemical formulations developed for the world's most expensive and luxurious beauty brands. "Parabens are problematic because they mimic estrogen and can disrupt the hormone (or endocrine) systems. While studies have found parabens in almost all urine samples taken from a demographically diverse sample of U.S. adults, adolescents and women had higher levels of methylparaben and propylparaben than males of similar ages. Teens and women use more cosmetics than men, so this is likely the reason. Parabens have also been found in breast cancer tissue." More research needs to be done to better understand exactly how parabens impact our bodies. Currenty, chemical companies and cosmetic brands justify their copious use of parabens but saying that they are not dangerous in personal care products because they are used in such low levels. I understand this justification and I'm certainly not saying that your body lotion is going to give you breast cancer tomorrow. However, why does the industry continue to formulate products with parabens when there is still SO MUCH to learn about how exactly they impact our bodies over a lifetime of exposure? The point I want to make is that the beauty industry doesn't need to use parabens at all. They rely on them because they are cheap preservatives, not because they are essential to the efficacy of a product. In fact, hundreds of beauty brands are reformulating their products to be paraben-free and the European Union has just taken steps to eliminate several parabens from cosmetics and personal care products. Yay Herbal Essences for making paraben-free shampoos and conditioners! This is why Beauty Lies Truth is calling for a paraben boycott. Let's use our consumer powers to pressure brands into becoming paraben-free. What have we got to lose? Why use products that can mess with our health when we can use products that are safer and equally as effective. Join us by using the hashtag #boycottparabens every time you decide to abandon a product containing parabens. Let's rock the conventional beauty boat and see what kind of change we can make.